FREEBIE ALERT! Make sure you add this easy deal to your CVS shopping list next week. 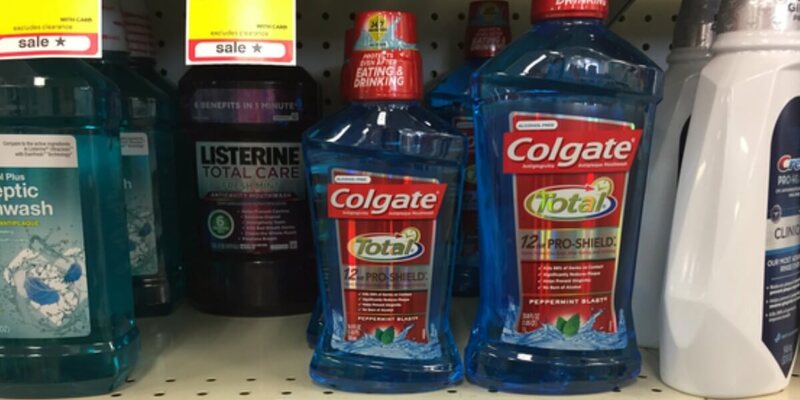 Starting 3/19, CVS has Colgate Total Mouthwash 16.9 oz/500mL on sale for just $3.99. Plus, you will receive $2 Extra Care Bucks when you buy 1 (limit 2). 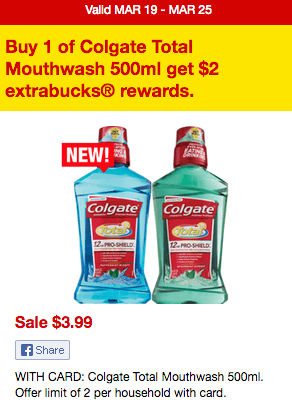 Be sure to print this high value $2/1 Colgate Mouthwash or Mouth Rinse (400 mL or larger), exp. Varies NOW! You never know when it will disappear. You can score 2 of these for FREE after coupons and Extra Care Bucks reward. Be sure to scan your Extra Care Card at the Coupon Center in store and don’t forget to check your CVS app and email for special offers and discounts from CVS!